Who’s with me here: Thanksgiving has just passed, the holidays are coming, lists of to-dos are growing, your mind is racing in all directions, working is accumulating, time is disappearing and stress is building…ah yes, the holiday season has arrived. 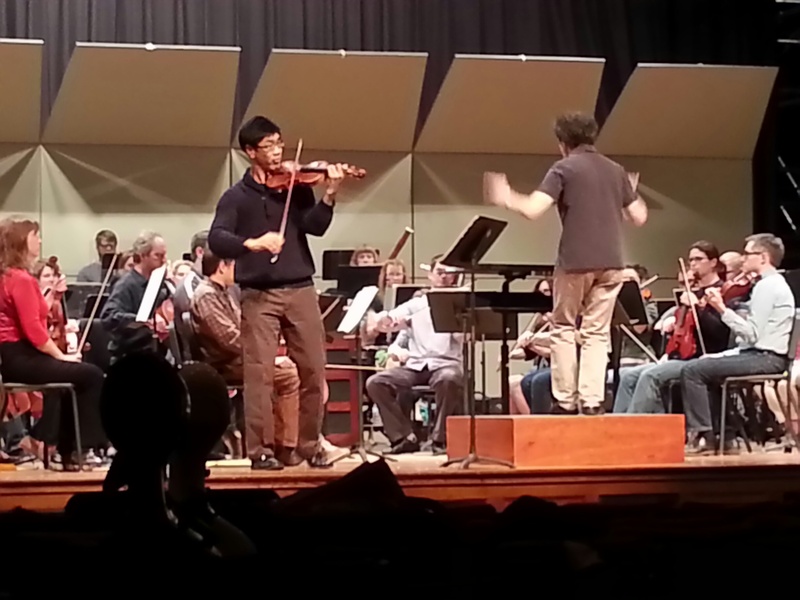 Before I get too caught up in venting my busy life, I want to share a wonderful experience with the Annapolis Symphony Orchestra (ASO) that helped me “put on the breaks” to this multitasking mania. It was a week in November. I was experiencing the overwhelmed feeling of being a full-time student, wife, and musician all while holding down a full-time job. Definitely multitasking my way through each day. As I showed up to the ASO’s Classic Series concert titled “Beethoven Eroica” I was forced to “put on the breaks” and become single-minded. The only task at hand was to listen to great music played by great musicians and led by a vibrant conductor. The program consisted of the Ravel Le Tombeau de Couperin, Griffes Poem for Flute and Orchestra, Doppler Fantasie Pastorale Hongroise and Beethoven Symphony No. 3. As my body settled into the present moment, I was able to absorb the beauty and feel of each piece on the program. I was quite taken by the first half of the program. Conductor, Jose-Luis Novo opened the concert with one of my favorite French works, which nicely paired with the following two flute works. Being a flutist myself, I was rooting for the flutist, Kimberly Valerio, the entire time. She totally mastered her instrument with artistry, and conveyed each piece to the audience with perfection. The second half of the concert featured the Beethoven. Staying in the present, I was able to hang on to each moving note and shift that the orchestra so graciously presented. Well done! Upon exiting the auditorium, I left with much more than just a musical experience. I refilled my mental centers instead of depleting them, stimulated neurons, created new brain pathways, reduced stress, cleared my brain, focused my thinking, opened to mindfulness, removed distraction, and felt rejuvenated. Most of all I shifted from multitasking to mindfulness. I had no idea that this would be the result of my walking into that concert; but I became extremely grateful upon exiting that concert. Who knew – music really is the answer to moving from multitasking to mindfulness (at least for me). I hope your next experience will be similar. What motivates you to change and grow? Just as we are unique individuals, we have unique motivations. Simply put, motivation is an act or process that gives reason or meaning to doing something. It is what causes us to act. That can be getting a snack, answering the phone, going to work or exercising. Motivation is made up of forces that can activate behavior. The forces include: biological, emotional, social, and cognitive. We often use this term in daily life to describe why a person does something. For example, she is so motivated to (fill in the blank). Engaging with the client and talking about issues, concerns and hopes. Establishing trust. Focus by narrowing the conversation down to habits and behaviors the client wants to change. Evoking the client to elicit change through importance to them, confidence and readiness. Working with a H&W coach can help you explore, elicit, examine and engage these motivations in a collaborative, strengths-based, whole-person, nurturing environment that moves toward a desired goal. Coaches are great listeners! We can help you see where you are on the “readiness” meter of change, and help you make a plan to move that readiness into action. Are you looking to lose weight, get a new job, be happier in a relationship, heal an ailment, get healthier, eat cleaner, get more organized, let go of a negative habit, start your own business, reduce bodily discomfort, tackle a fear? What do you want to change? I am always amazed with how the creative parts of our brains respond to music. 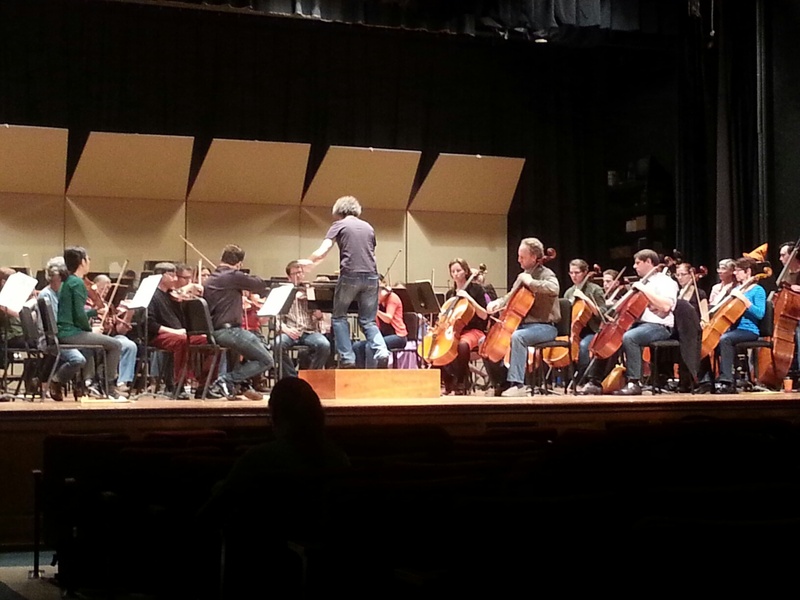 Researchers say that the brain is a “pattern recognition machine.” My experience listening to last night’s ASO rehearsal is in complete support of this idea that our brains do create, respond to and recognize patterns. Music Director, Jose-Luis Novo, programed two works that come from like-region composers: Bartok Violin concerto No. 2, and Dvorak Symphony No. 6 in D Major, Op. 60. Both pieces spurred unique, creative and opposing images in my mind: one that was more free-form and continuously evolving; and one that was more pictorial, programmatic and realistic. Let me share what I mean. From the start of the Bartok Violin Concerto I noticed a constant flowing and shifting of the music. Through all three movements I kept thinking: magical, mystical, ethereal, dreamy and dramatic. It wasn’t until the second movement that I termed this music as “kaleidoscope music.” Like the concerto, every turn of the “cylinder” created a new vision. The music that entered my ears created ongoing patterns of color much like the light reflecting off the mirrors of a kaleidoscope. In fact, the derivative parts of the word kaleidoscope mean “observation of beautiful forms.” Quite the appropriate term for this music. There is no doubt that audiences will be mystified and awed. The soloist, Soovin Kim, has an extraordinary technique that matches the grueling accuracy needed to play such a difficult piece. His interpretation bridged the concepts of music and creative brain patterns. An event to note during the rehearsal of the Bartok: a pink balloon and wa s floating in and out of the stage lights right above the heads of the musicians. It seemed deliberately planned as a visual representation of the music: as magical and mysterious as the violin concerto was, so too was the appearance and movement of this pink balloon – until it popped! The Dvorak created a related yet different mental image. I found the Symphony in D Major to be very image-inducing like the Bartok. The difference being that it is much more programmatic and pictorial, almost like it were telling a story of folk life. I found myself more able to create a story with the symphony than with the concerto. The melodies were more memorable and lighthearted, and it was a nice contrast to the Bartok. I am grateful for this brief trip to the land of Bartok and Dvorak. The imagery that resulted from listening to these great works was truly brain-stimulating. I was able to create patterns, light, color, landscape and story all from the way my brain responded to this wonderful music. I look forward to my next “reflection” with the ASO. How do you listen to music? Are you a critical/analytical listener focusing on melody, harmony, form, orchestration and tempo? Or are you a listener that just feels the music and notices how it affects you? Not that these are the only two ways, but I am talking about the difference between analytic and experiential listening right now. Something in what Jose-Luis Novo, Music Director for the Annapolis Symphony Orchestra (ASO), spoke of at Friday night’s performance – Austrian Melodies – sparked me to change the way I listed to the Mozart and Bruckner on that concert. In his introduction Mr. Novo talked about how our lives are fast-paced and busy due to all the stimulus and technology that is flashed in front of our eyes. He chose the pieces on this concert to oppose that fast-paced feeling; and instead, bring a slowing of the mind and give our brains time to process the music. As a musician and a health practitioner I found this intriguing. I decided to make this an experiential listening, rather than the analytic listening I usually choose as a “classically trained musician”. So I sat back in my seat and just FELT the music, rather than critiquing it. What I experienced was essentially two-fold: an internal response with the Mozart; and an external response with the Bruckner. What I mean by internal is that during the Mozart, I felt the rhythms of the music. I had the sensation of wanting to move and dance. I felt my toes tap, my body sway, and my head bob to the changing rhythm. I stayed in my personal space and connected with how my body felt. The Bruckner, on the other hand, gave me a sense of external, as I was experiencing more expansive thoughts. I wasn’t so focused on my body, but instead on a much larger, worldly level. I imagined opening up, thinking of others, connecting to things outside my physical body and experiencing the space around me. It was, at times, a sense of soaring or flying outward and observing life beyond my own body limits. I don’t want to sound to “out there”; just want to emphasize the different experience I had when compared with the Mozart. It is important to note that these types of experiences really do have a health and wellness benefit to the listener. Studies have shown benefits to include brain/neurologic stimulation, mood enhancement, diversion of stressful thought, and a connection or empathy towards others. Some research has shown that even watching a musician play their instrument, or a conductor conduct, creates the same experience in the listener’s mind of actually playing that instrument as it does in the musician’s mind. So if you ever wanted to conduct a symphony, just go to a concert and watch the conductor. To your mind, you would have just conducted! I hope this blog serves as a reminder that you are doing more good for your well-being than just listening to great music. You are creating neural connections, enhancing your mood, releasing stress and creating a social connectedness with those around you. And, lets face it, who would not benefit from those? Going to concerts, such as the ASO’s, is certainly a boost to your overall health and wellness mentally and physically. Thank you, ASO and Mr. Novo. Did you have any idea you were providing such healthful benefits? Based on Mr. Novo’s introduction, I think they did. Here’s to music and health! As a musician and advocate, I find that there is no substitute for live music. It really does ignite things in the brain and being that are unmatched by any recorded performance. 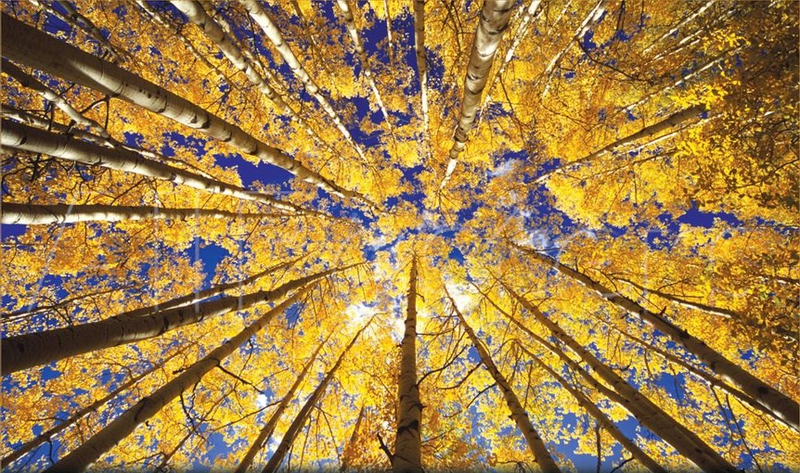 You can take it all in through every sense, which helps you retain that event in your life more clearly. 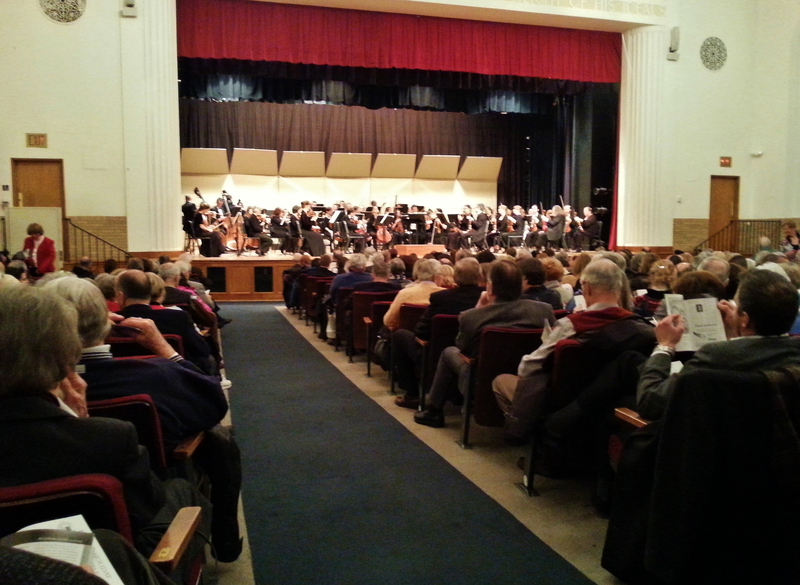 Imagine my thrill when I was approached by the Annapolis Symphony Orchestra about being their official blogger! Now, if you are looking for the “experience” of attending a live music event atthe caliber of this fine orchestra, then please keep reading. I mean to record my experience, rather than an actual critique of the performance. I hope this will encourage each of you to go out and listen more live music.